Leave your name and email address and I'll send you a free downloadable guide - "Essential Oil Starter Guide for Athletes and Outdoor Adventurers" to help you learn the basics of the health benefits of essential oils and my top tips for active people just like you! A personal and individualized approach is essential when it comes to oils, so I’d love for you to try them first! 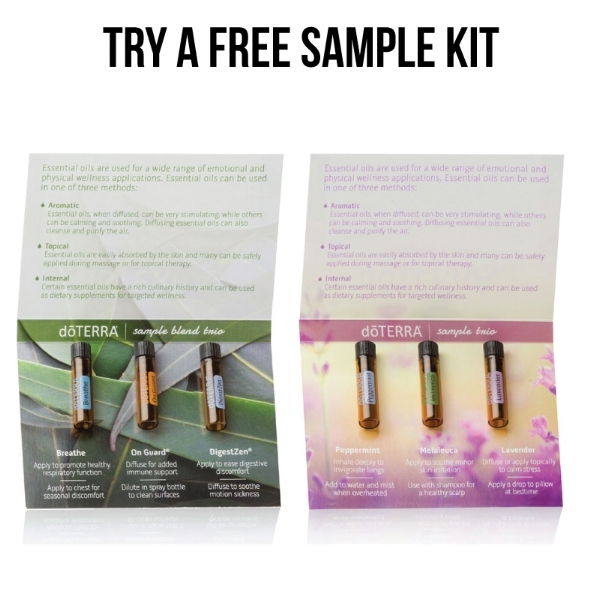 You can choose the kit that fits your goals — the sample kit is free – you pay $5 shipping. And an Essential Oil Starter Guide is included.